Later he discovered Mother Teresa walked the same streets and went into the same places he visited some years before. He said, “The difference — I ran away, but Mother Teresa crossed the line. She stayed, and healing took place.” He saw that her compassion for others came from a source that eluded him. To his surprise that source was her faith in Christ and His ability to change the heart of any man. With that realization he came to a transformative experience with Christ. Many of us are professing Christians who are missing something. The missing link in the walk of many who profess Christ is a true compassion for the unlovable. Our western society is not compassionate by nature, but Jesus is. He sets the bar of compassion by eating with sinners, touching the untouchable, healing the outcast, and most importantly, giving Himself for the sins of all humankind. 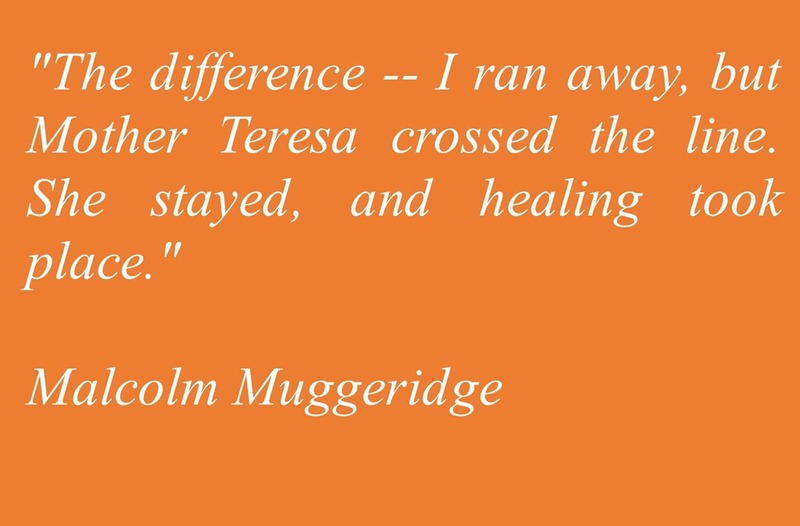 We can all learn from Muggeridge’ s experience and see life through that lens of compassion. When we do, things become so much more beautiful. Great post and so true. Thanks!